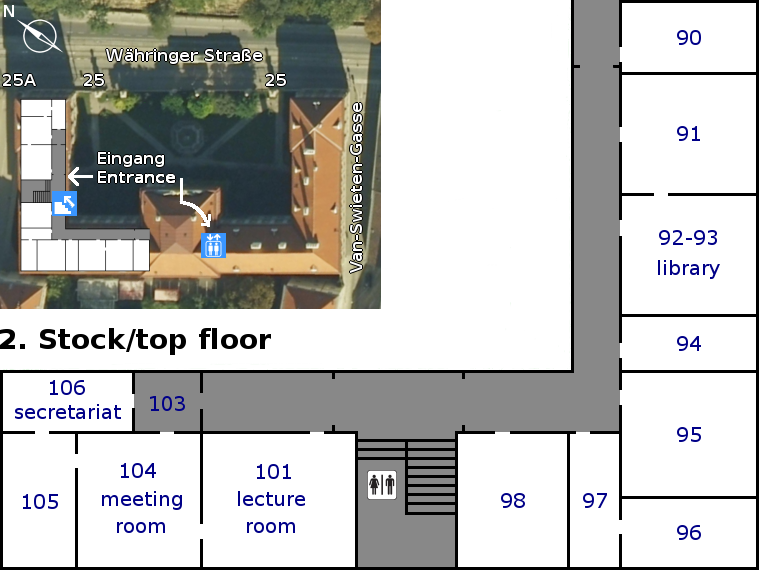 If you happen to be interested in the room numbers of corridors etc., see floor plan 2. Kurt Gödel Research Center for Mathematical Logic. Währinger Straße 25, 1090 Wien, Austria. +43-1-4277-50501. Last updated: 2019-04-15, 15:26.